Attorney General Mark R. Herring today joined attorneys general from across the nation to announce an unprecedented coalition of 17 top law enforcement officials to protect and expand progress the nation has made in combating climate change and the associated sea level rise that threatens Virginians’ health and the Commonwealth’s long-term economic and environmental well-being. Attorneys General Eric Schneiderman of New York and William Sorrell of Vermont co-sponsored the meeting, with attorneys general George Jepsen of Connecticut, Brian E. Frosh of Maryland, Maura Healey of Massachusetts, and Claude Walker of the US Virgin Islands in attendance, along with former Vice President and leading climate activist Al Gore, and representatives from a total of 17 state attorneys general offices. Herring is working with the members of the new coalition and others as part a group of 25 states, cities and counties that have intervened to defend the “Clean Power Plan,” an ambitious and achievable national plan that will reduce carbon pollution, protect Virginians’ health, and protect our economy, coastal communities, agriculture/forestry industry and the military from the impacts of climate change. Today, the Commonwealth of Virginia and fellow intervenors filed a brief to the DC Circuit Court in support of the Clean Power Plan, which also advances the goals of Governor Terry McAuliffe’s comprehensive Virginia energy plan to reduce pollution while prioritizing development of Virginia’s clean energy sector. In December 2014, Attorney General Herring submitted comments to the EPA regarding the draft Clean Power Plan rule. In his comments, he recommended an approach that considers all implementation costs and benefits, as well as the cost of inaction to Virginia and other vulnerable areas. He recommended that, in developing the final rule, the EPA give Virginia more credit for recent investments in zero-carbon generation, offer Virginia more flexibility for adjusting its implementation plan if necessary, treat energy efficiency investments more equitably compared to clean energy generation investments, and help promote cooperation among neighboring states. The final Clean Power Plan made substantial improvements in each of these areas, including incentivizing energy efficiency investments, and relaxed Virginia’s pollution reduction target by 15% to a level that both energy companies and environmental advocates agree is achievable. 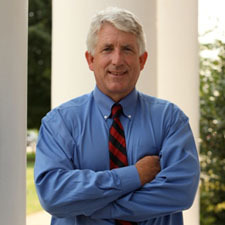 Attorney General Herring previously made Virginia the first Chesapeake Bay state to defend the Bay cleanup plan against attacks by out-of-state special interests and states that don’t border the Bay. His amicus brief filed in the Third Circuit Court of Appeals laid out Virginia’s history of interstate cooperation and cooperation with federal partners to clean up the Bay, as well as the economic, environmental, and intrinsic value of the Bay to Virginia. The Bay cleanup plan was unanimously upheld by the Third Circuit and the U.S. Supreme Court recently declined to hear an appeal of the case. “I am committed to working with Attorney General Schneiderman and the coalition to protect the progress we are making on climate change in this country. Our work will protect the health and well-being of New Mexico children and families, and that is the priority of the New Mexico Office of the Attorney General,” New Mexico Attorney General Hector Balderas.